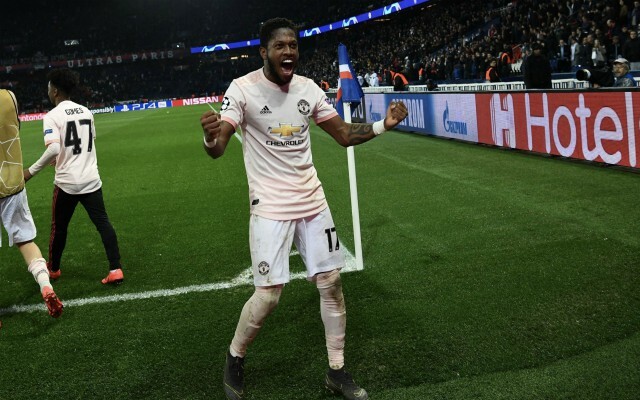 Manchester United caretaker boss Ole Gunnar Solskjaer hailed Fred for his display against Paris Saint Germain in Europe on Wednesday. United defied the odds to knock the Ligue 1 giants out of the Champions League in their own backyard, securing a stunning 3-1 win at Parc des Princes thanks to a Romelu Lukaku brace and a late Marcus Rashford penalty. 2-0 down from the first leg, the Red Devils progressed to the quarterfinals of the competition despite having to field a second string starting line-up, amid an ongoing injury crisis for Solskjaer. The Norwegian decided to set his stall out with a flat 4-4-2 formation and Fred was drafted in for a rare start, having endured a difficult debut season at Old Trafford since his £52 million pound switch from Shakhtar Donetsk (fee confirmed by the Daily Telegraph). The Brazilian was fantastic on the night, finally showing the technical ability and aggression which attracted United to him in the first place. Solskjaer was quick to single out the United star for his “breakthrough” performance, as he beamed with joy after watching his side secure a historic victory in France. “Fred, that was probably his breakthrough for us, you can see why we’ve signed him,” said Solskjaer – as per Yahoo Sport. “He’s got the mentality of a Brazilian international. 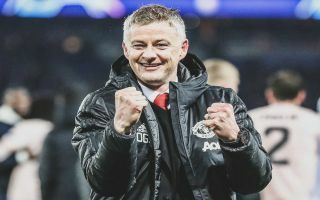 The Red Devils have won all nine of their away games since Solskjaer took charge at the Theatre of Dreams and his overall record reads 14 wins from 17 matches across all competitions. The legendary former striker has all but ensured he will be appointed as the club’s next permanent manager and United fans will also hope that his influence can now help Fred to flourish. The 26-year-old midfielder can still go on to have a successful career in Manchester, especially if he can replicate the kind of quality he showed against PSG and he will surely now be in line to retain his place in the starting line up for the trip to Arsenal on Sunday.